This whimsical Guild Inn Estate wedding styled shoot came together after digging deep into an old Martha Stewart Weddings book from the 90’s. 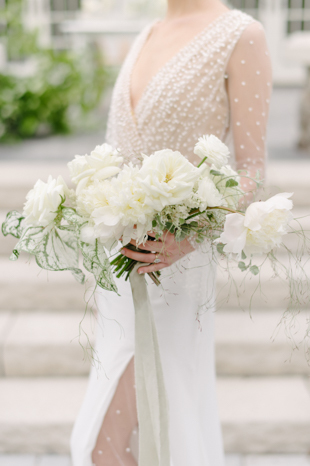 I fell in love with modern, simple bridal gowns and the use of classic bridal flowers. 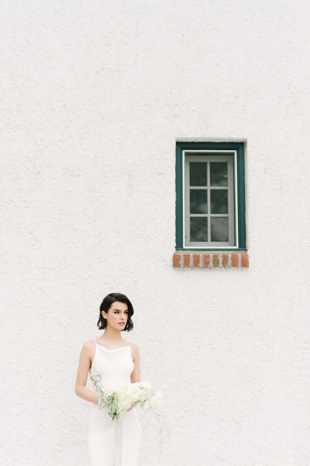 I wanted to combine the old school, timeless wedding looks with a more modern approach. 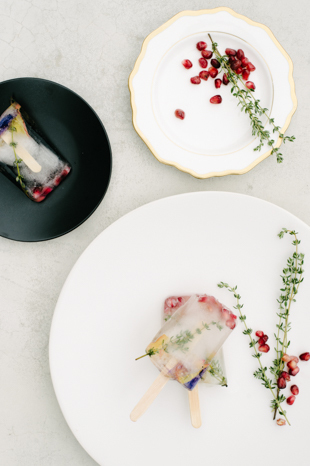 This Guild Inn Estate wedding inspiration is really about redefining what modern and tasteful can look like, while mixing and matching luxurious elements like Plate Occasions tableware, linens, and elegant flowers. 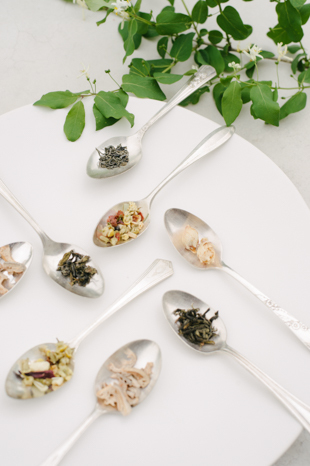 At Mango Studios, we are always looking to stay connected to our craft by continuing to dream and create work that inspires. 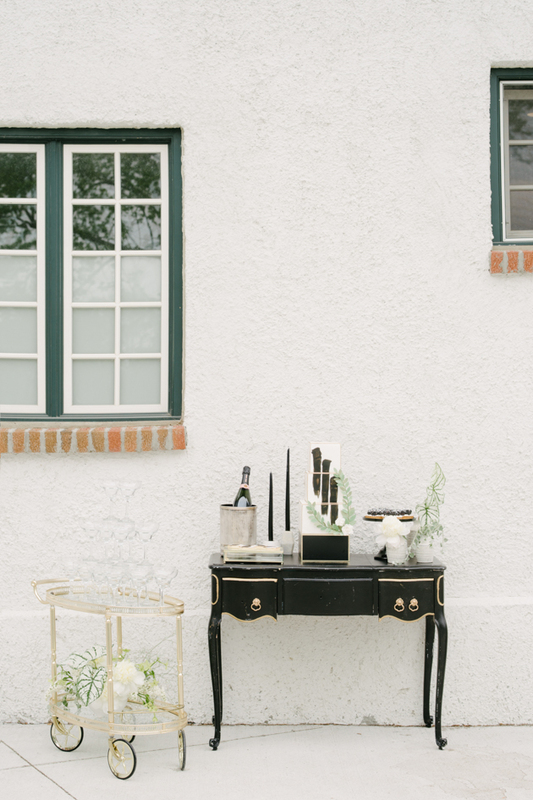 For this Guild Inn Estate wedding styled shoot, we wanted the photos to communicate a sense of timelessness while still feeling fresh, elegant and sophisticated. 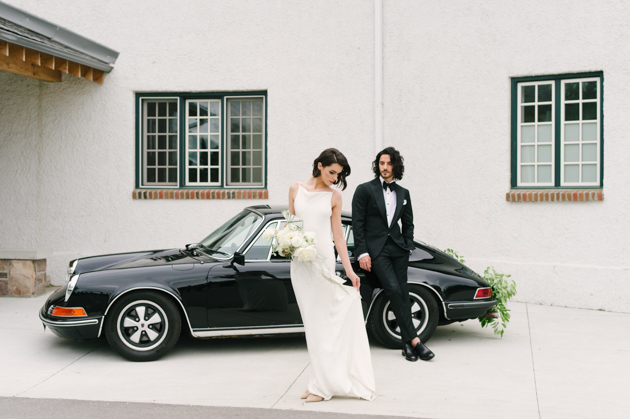 With access to a spectacular vintage Porsche, this vision started to come to life! 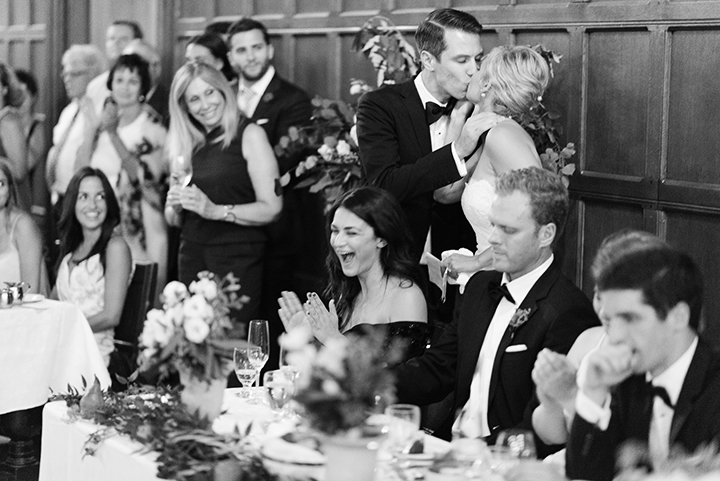 The recently-restored Guild Inn, once an artist’s colony, became our perfect backdrop. 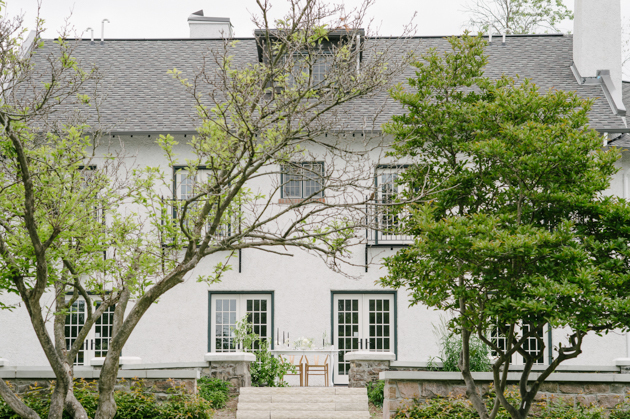 It was easy to imagine a stylish bride and groom have an elegant, yet modern wedding here. 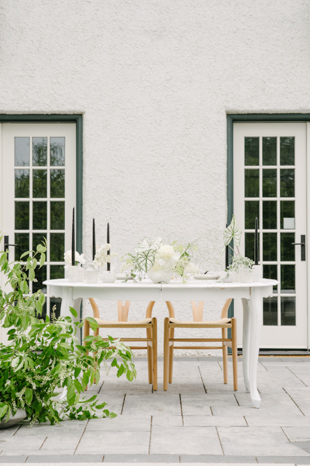 The clean white walls, rustic stone veranda, and ample foliage gave us plenty of natural beauty to work with while still allowing us to make the space our own. 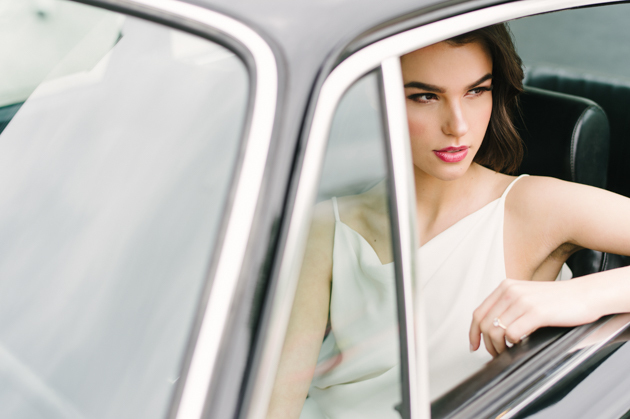 Photographing in front of the asymmetrical windows and the car was tons of fun – I love how these wedding photos feel geometric and modern. Nothing would have happened without Rachel, a wedding planner extraordinaire at Party With Chloe. She was the muscle that helped us pull it all off. 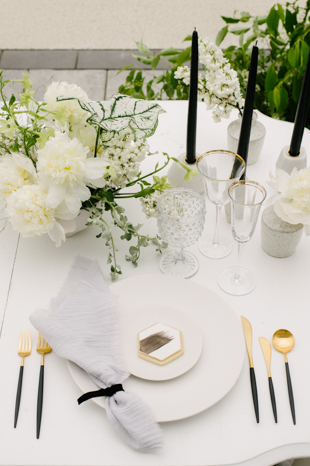 The color palette was kept minimal: whites, blacks, and greens to communicate a polished feel. 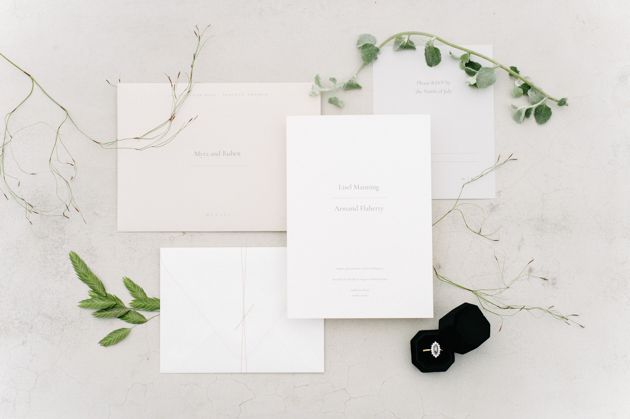 Leaf and Bloom designed the delicate florals that added a sense of understated whimsy while still feeling classic. 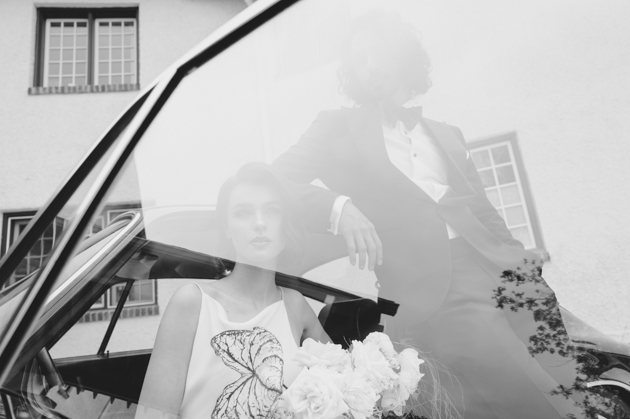 The bride’s stunning dresses are both from Loversland. 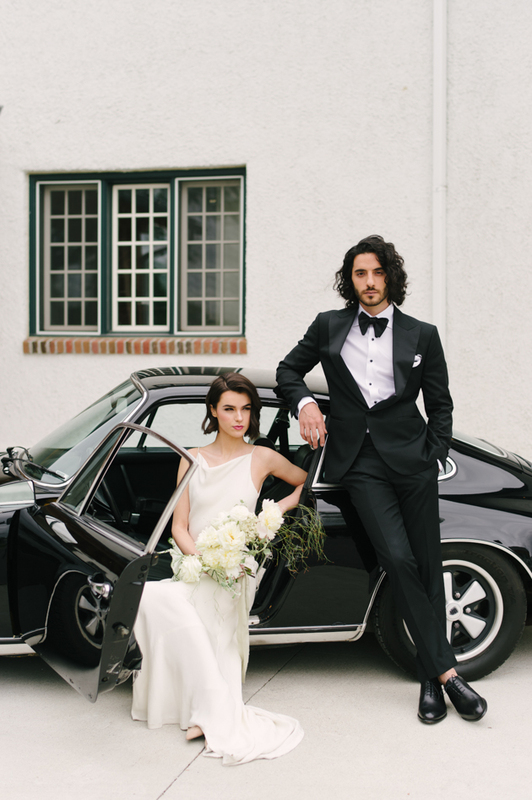 For a sophisticated vibe, we had our bride in a minimal dress and our groom in a perfect tux (suit from King and Bay and tie from Tyan Ties) as they posed next to their getaway car. 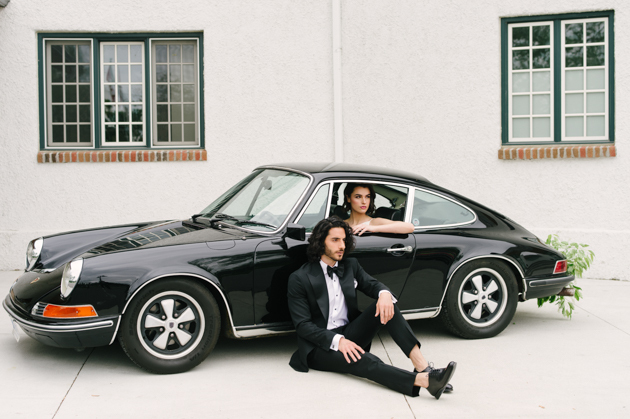 Speaking of our hot-wheels, photographing the vintage ride really sparked our creative juices and gave us creative angles and positions to pose our couple. 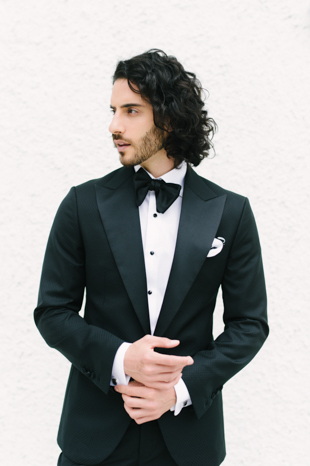 In our second scene, we dressed our couple a little more whimsically with a brilliant blue tux, also from Bay and King, and a beaded, sheer gown. We kept the mood light and fun to photograph. Our bride and groom laughed a lot, echoing the garden party vibe of our scene. 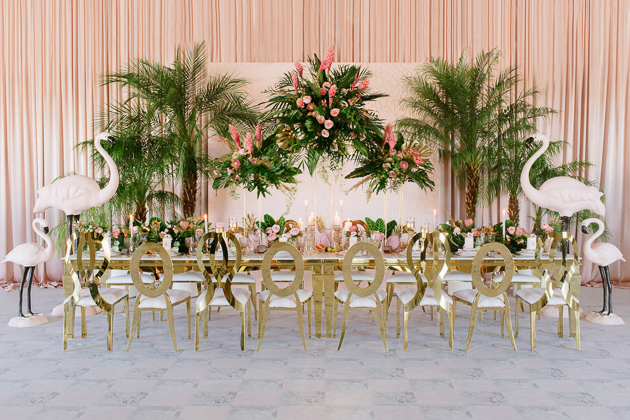 All of the fabulous tabletop settings were sourced from Plate Occasions, and Glamorous Affairs provided an amazing collection of furniture rentals. We couldn’t be happier with how it turned out! > Next post : We Are The Wedding Photographers of the November’s Pop Up Chapel!